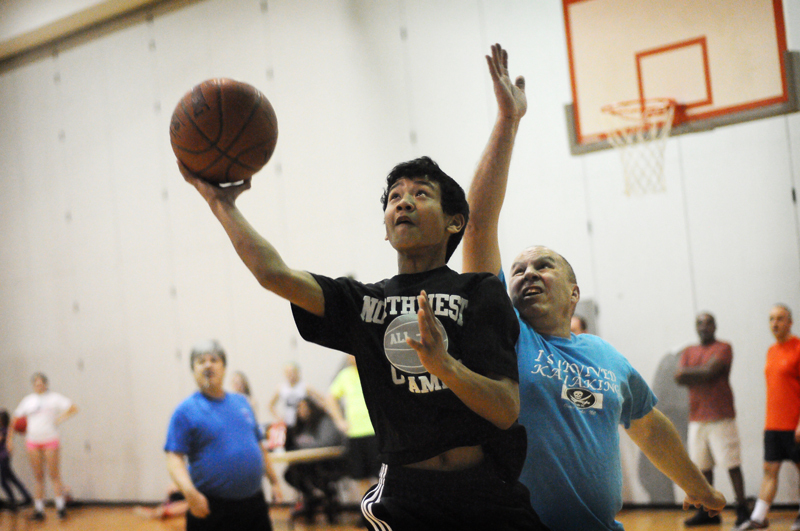 The Trinity youth group won easily against the adults Saturday night in this year’s challenge to raise money for the Imagine No Malaria campaign, formerly Nothing But Nets. Contributions collected at the game totaled about $400. Additional donations continued to come in on Sunday, so the final tally has yet to be made. Every second around the world, Malaria makes 10 people sick. In a year, this results in 650,000 deaths. It can be difficult to imagine in the United States, a country that eradicated malaria nearly 60 years ago. The Baltimore-Washington Conference has set a $2.1 million fundraising goal as part of an international campaign to wipe out malaria worldwide. The disease is preventable using bed nets to protect against mosquito bites that spread the disease. Prevention, combined with treatment, education, and communication can wipe out malaria. One, $10 bed net can save a life. And it’s easy to make a donation on line.